Right now new members to TopCashBack can score Frozen on Blu-Ray/DVD for FREE! Visit Walmart through TopCashback, purchase Frozen- priced at $17-22. Choose in-store pick up to avoid shipping charges and you’ve got this hot new release for FREE! Once you’ve registered you can go directly to the Frozen movie offer. Click the orange “Get Cashback Now” button to open the Walmart shopping page. 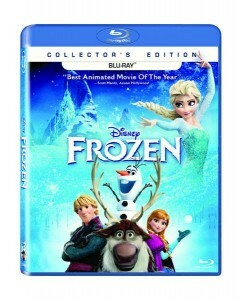 Search “Frozen on DVD” and look for the ones priced at $14.96 for the DVD or $19.96 for the Blu-Ray. 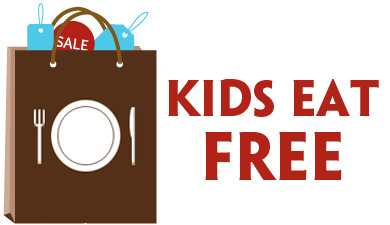 Proceed through checkout – be sure to choose FREE in-store pick up. Your TopCashBack rebate of $17-$22 will turn payable and can be credited straight to your checking or PayPal account within 60-90 days. The fine print: Transactions must only contain one Disney’s Frozen Blu-ray DVD priced at $19.96 or regular DVD at $14.96 to ensure $22 or $17 cashback, respectively, is credited to TopCashback accounts. If another item is purchased or additional items are purchased at the same time, the cashback amount awarded will be 4% or less (depending on the item(s) purchased) instead of $22 or $17. This promotion is subject to stock and pick-up location availability. This TopCashback Disney offer is available until 23:59 PT on Friday, March 21, 2014 or until stock runs out, while it’s priced at $19.96 or $14.96, and to new TopCashback members only. This is defined as someone who hasn’t ever made a transaction through TopCashback.com, regardless of whether they have already created a TopCashback account or not. If an existing member is found to have created more than one account, TopCashback reserves the right to terminate their accounts and withhold all cashback earnings to new, current or past WalMart customers for online sales only, for purchases made directly after clicking through TopCashback.com. Only one Frozen Blu-ray DVD or regular DVD is allowed per TopCashback account/member, and only one TopCashback account is permitted per person. Right now new and existing members to TopCashBack can score some FREE Bounce Fabric Softener! Visit Walmart through TopCashback, purchase a Bounce Fabric Softener – priced at $4.88. Choose in-store pick up to avoid shipping charges and you’ve got some FREE Bounce Fabric Softener! Once you’ve registered you can go directly to the Bounce Fabric Softener offer. 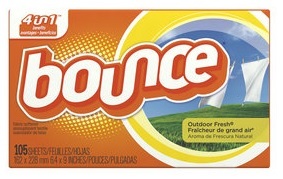 Search “Bounce Fabric Softener” and look for the ones priced at $4.88. Your TopCashBack rebate of $5.50 will turn payable and can be credited straight to your checking or PayPal account within 60-90 days. The fine print: Transactions must only contain a Bounce fabric softener sheets carton priced at $4.88 to ensure $5.50 cashback is credited to TopCashback accounts. If another item is purchased or additional items are purchased at the same time, the cashback amount awarded will be 4% or less (depending on the item(s) purchased) instead of $5.50. This promotion is subject to stock and location availability. This TopCashback Bounce offer is available until 23:59 PT on Friday, March 14, 2014 or until stock runs out, while it’s priced at $4.88, to new, current or past WalMart customers for online sales only, for purchases made directly after clicking through TopCashback.com. Only one Bounce carton is allowed per TopCashback account/member, and only one TopCashback account is permitted per person. Right now new and existing members to TopCashBack can score a FREE Joe Boxer Bra! Visit Kmart through TopCashback, purchase a Joe Box Bra – priced from $10-10.99. Currently there are 10 different bras to choose from in a range of colors, prints, styles and sizes. Shop Your Way Rewards Members will enjoy FREE shipping too! Once you’ve registered you can go directly to the Joe Boxer Bra offer. Click the orange “12.50” button to open the Kmart shopping page. Search “Joe Boxer Bra” and look for the ones priced at $10.99. Your TopCashBack rebate of $12.50 will turn payable and can be credited straight to your checking or PayPal account within 60-90 days. The fine print: Transactions must only contain one Joe Boxer bra priced between $10 and $10.99 to ensure $12.50 cashback is credited to TopCashback accounts. If another item is purchased or additional items are purchased at the same time, the cashback amount awarded will be 7% or less (depending on the item(s) purchased) instead of $12.50. This promotion is subject to stock availability. This TopCashback Joe Boxer offer is available until 23:59 PT on Friday, February 28, 2014 or until stock runs out, while it’s priced between $10 and $10.99, to new, current or past Kmart customers, for online sales only, for purchases made directly after clicking through TopCashback.com. Only one Joe Boxer bra is allowed per TopCashback account/member and only one TopCashback account is permitted per person. Right now NEW members to TopCashBack can score a a FREE bag of Beneful Dog Food! Even if you don’t own a dog this is a great offer to pick up and donate to your local animal shelter! Plus ShopYourWay Rewards Max members will enjoy FREE shipping on your order too – or just choose to FREE in-store pickup. TopCashBack is a loyalty program that offers cash back to you for your online purchases. ShopYourWay Rewards members can also use your points towards this purchase and still earn cash back – sweet! Once you’ve registered you can click here to go directly to the Sears Beneful Dog Food offer. Click the orange “Get Cashback Now” button to open the Sears shopping page. 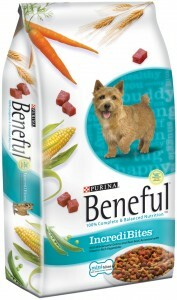 Search “Beneful Dog Food” and look for the 3.5 pound bags priced at $6.29. Your TopCashBack rebate of $8.50 will turn payable and can be credited straight to your checking or PayPal account within 60-90 days. This TopCashback Beneful offer is available until 23:59 PT on Monday, March 10, 2014 or until stock runs out, while it’s priced at $6.29, to new TopCashback members only. This is defined as someone who hasn’t ever made a transaction through TopCashback.com, regardless of whether they have already created a TopCashback account or not. If an existing member is found to have created more than one account, TopCashback reserves the right to terminate their accounts and withhold all cashback earnings to new, current or past Sears customers for online sales only, for purchases made directly after clicking through TopCashback.com. Only one 3.5 lb bag of Beneful dry dog food is allowed per TopCashback account/member, and only one TopCashback account is permitted per person. Right now NEW members to TopCashBack can score a FREE pack of Huggies Snug & Dry Diapers! ShopYourWay Rewards Max members will enjoy FREE shipping on your order too. TopCashBack is a loyalty program that offers cash back to you for your online purchases. ShopYourWay Rewards members can also use your points towards this purchase and still earn cash back – sweet! Once you’ve registered you can click here to go directly to the KMart Huggies Snug & Dry Diapers offer. Click the orange “Get Cashback Now” button to open the KMart shopping page. 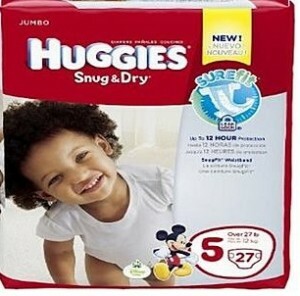 Search “Huggies Snug & Dry” and look for the Huggies diapers priced at $10.99. This TopCashback Huggies offer is available through 23:59 PT on Sunday, 2/23/14 or until stock runs out, while it’s priced at $10.99. Offer valid for new TopCashback members only. This is defined as someone who hasn’t ever made a transaction through TopCashback.com, regardless of whether they have already created a TopCashback account or not. If an existing member is found to have created more than one account, TopCashback reserves the right to terminate their accounts and withhold all cashback earnings. Valid for new, current or past Kmart customers, for online sales only, for purchases made directly after clicking through TopCashback.com link. 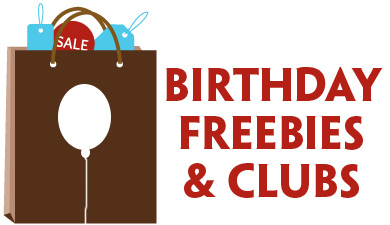 Only one Huggies diaper pack is allowed per TopCashback account/member. Only one TopCashback account is permitted per person.